ECHR's President to "EuroFora" on Journalists Gongadze and Adali murders : Principles must apply to all States, without discrimination. + ECHR's Statistics on Freedom of Expression (See below). 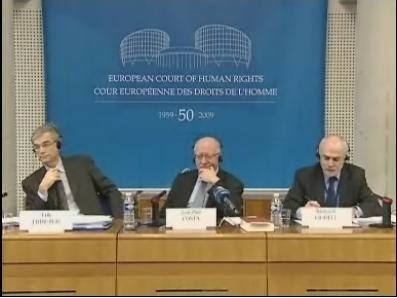 European Court of Human Rights' President, Jean-Paul Costa, questioned by "EuroFora" on Journalists' murders, as in Gongadze and Adali's cases etc., strongly stressed all CoE Member States' obligation to make efficient Investigations to find and punish those responsible, and underlined that ECHR's case-law's principles must apply to all without any discrimination. His call was clearly supported by various Top MEPs who denounced a risk of "Double Standards" if some Journalists' murders are investigated, while others don't. 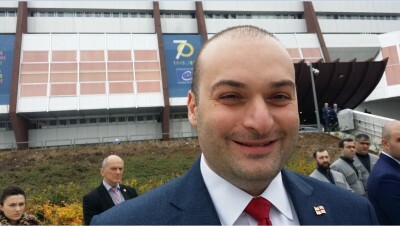 To avoid such risks, CoE's Parliamentary Assembly adopted a Resolution, on the occasion of Ukranian Journalist Gongadze's murder, "stressing", as a matter of general Principle, "the importance it attaches to the safety of Journalists and political activists, especially those linked to opposition groups, in ALL member states of the CoE". All "crimes against journalists and political activists must be investigated ... as a matter of priority, without political interference". 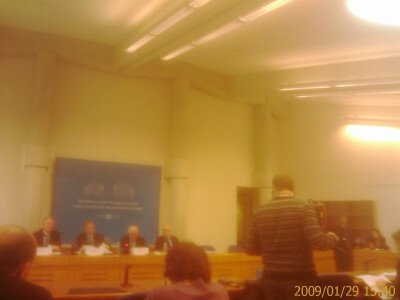 Costa was replying to "EuroFora"s question on the fact that, after CoE's Committee of Ministers, also CoE's Assembly had just adopted a Resolution on Gongadze murder case, based on an ECHR's judgement of 2005, asking a full Investigation from Ukraine, who has found and condemned in 10 years of jail 2 executants, but not yet the instigators. While nothing similar was yet done for dissident Turkish Cypriot Kutlu Adali's murder, with 5 bullets shot at his head out of his Family's home in the territories of Cyprus occupied by Ankara's army, despite another ECHR's judgement of the same year 2005, and despite Turkey's claim that nobody was found among those responsible for the murder, and that there was nothing more to do.. In order to be credible and efficient, CoE's mechanisms shouldn't find a way to at least ask for full investigations of all Journalists' murders anywhere they might be committed, without exceptions ? - "On the larger question that you raised, I'd like to say, since we are in a period of stock-taking on ECHR's 50 Years, that the Court's case-law developed certain concepts ....such as the Positive obligations of States, part of which are also the procedural obligations", started to reply ECHR's President. - "Whenever Journalists, Lawyers, Defenders of Human Rights, or even simple Citizens are murdered, the States are held responsible, not only if its their own security forces' agents who committed these murders, but also if they didn't make sufficiently substantial and efficient Investigations", he stressed. - "I want to strongly underline that we (ECHR) have found in many cases numerous violations of Articles 2 and 3 against States, ....(about) murders or torture, ...because they didn't make enough Investigations in order to try to find and punish those responsible". - "We (ECHR) do that vis-a-vis all 47 (CoE) Member States, without any discrimination". "Naturally, the circumstances in each particular case may be differend, and we can't ommit to apply the rules of proof, or the rules of criminal procedure". "But we try, by all means, to apply these principles of our case-law, to all States", he concluded. - "To investigate the murder of one Journalist, and not of another, looks like Double Standards", denounced the President of EuroLeft Group in CoE's Assembly, Dutch MEP Tiny Cox. - "What is the reason ? Politics or specificity of a case ? Of course, if Cyprus and Turkey are involved, it's always a Political case"..
- "Murders of Journalists should always be fully investigated, because killing Journalists is not only killing persons, but also killing Free Press". "We (CoE's Assembly) should do our outmost to help People who are working on Free Press and they are under threat or murdered". Because for Free Politics, Free Press is a pre-requisitive : Parliamentarians cannot function without a Free Press. Not investigating, is not protecting ourselves". - "CoE can' look at these cases differently. CoE can't wear Blinckers !". - "If the one is investigated, so has to be also the other. Why there wasn't full investigation ? Why's that ? ", wondered British Socialist MEP, Alan Meale. - "A good idea" would be to "make a Motion for Resolution", and "join all Journalists' murders. 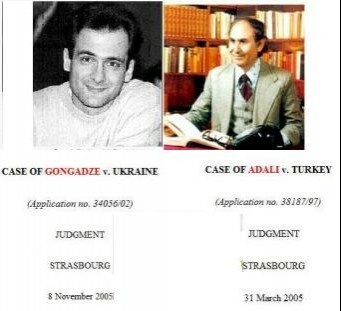 Adali and Gongadze etc", said to "EuroFora" EU Parliament Political affairs Committee's President, Goran Lindbland, ChristianDemocrat MEP from Sweden. (See also earlier News at "EuroFora" on similar issues). Almost Half of condemnations by ECHR for violations of Freedom of Expression in 2008, concern Turkey : 20 out of a total of 48 for all CoE's Member States. Russia, Poland, France and Moldova were condemned only 3 times. Romania, Greece, Portugal, 2 times, and the other CoE Member States only 1 time, or none. During the last Decade : 1998 - 2008, Turkey was condemned for violating Freedom of Expression in ..169 cases, while Austria only in 24. France and Moldova in 14 and 13, respectively, closely followed by Russia and Poland with 11 and 10, respectively. The rest of CoE Member States had less than ten condemnations.